As part of our pre press proofing capabilities, we can make Iris 4012 proofs. The Iris 4012 is a 300ppi device but its "apparent" resolution is much higher. It does a good job of approximating SWOP. Many publications will accept it for a color match, however some will require a SWOP certified proof (like the Kodak Approval). The maximum image area for the Iris 4012 is 10.6" x 17.2". If your file is oversize, please let us know if we should crop or reduce it. It prints on 12×18 paper, semi-matte or high-gloss. The semi-matte looks most like a typical offset sheet. 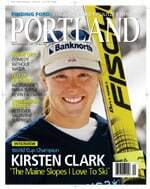 Use the high-gloss sheet if you’re proofing a magazine cover or something that will be laminated. The Iris software allows us to duplicate a file across the page. We typically will print small files more than once on the sheet unless there is a reason you wouldn’t want us to (e.g. for framing), so let us know if that is the case. If you would like to gang more than one image (i.e. more than one file) on the sheet, supply a layout file with all images or pages in place, leaving an inch on one end for a color bar if so desired. 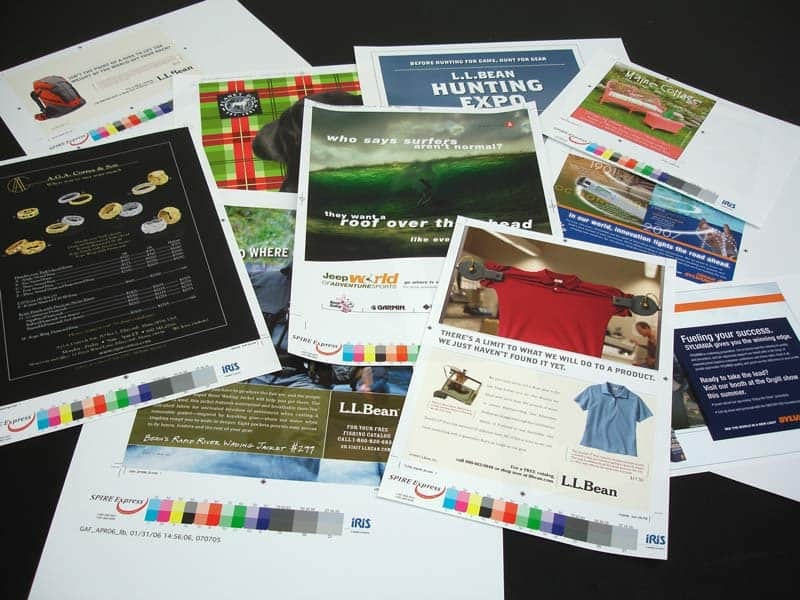 Contact SPIRE Express today for Iris pre press proofs that turn ideas into customers.